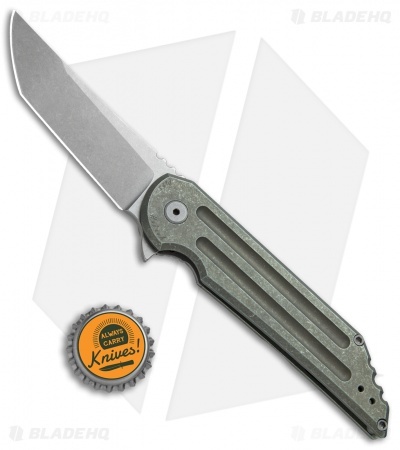 This Kwaiback has a stonewashed tanto style blade made from CPM-20CV steel. 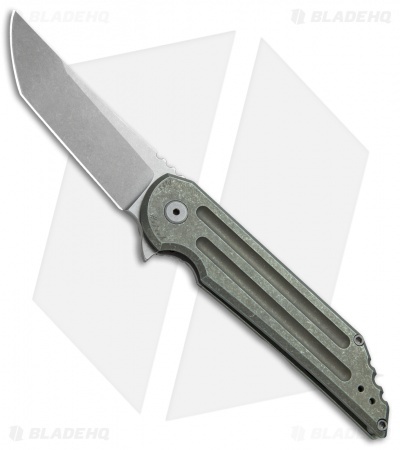 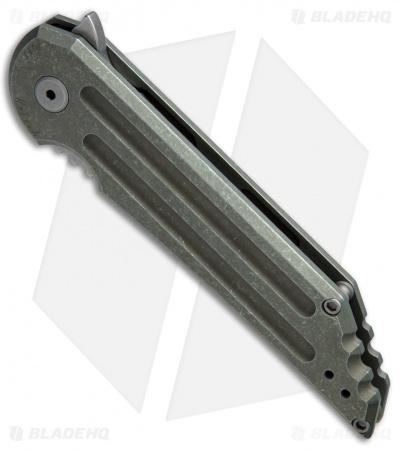 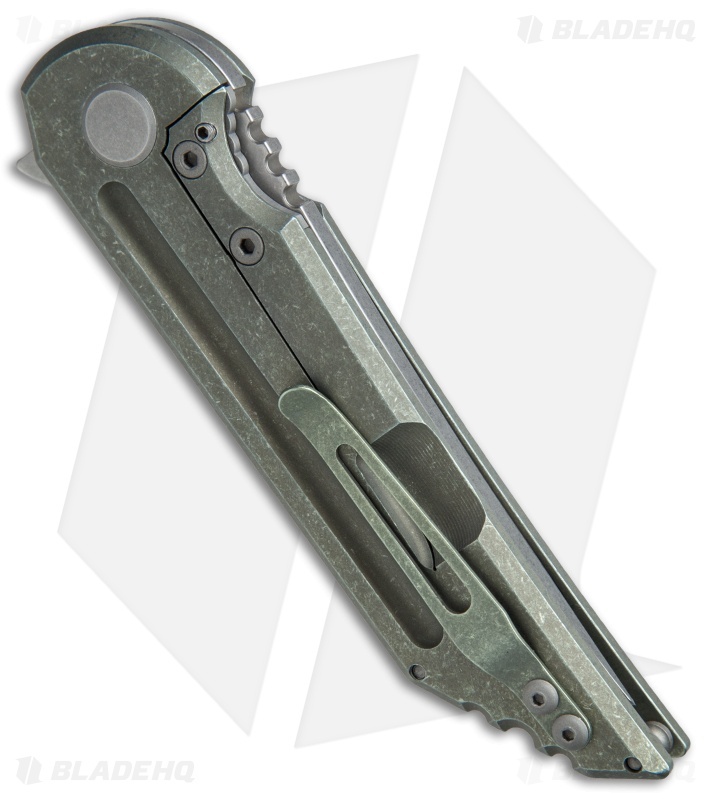 It features a green anodized titanium frame lock handle with the Hoback Roller Detent (HRD) system on the lockbar and a CBP caged bearing pivot for consistently awesome blade action. Flipper opener and reversible tip-up carry pocket clip. New from maker. The Kwaiback from Jake Hoback is a high-end mid-tech folder that features the high level materials, hardware, and fit seen on his custom knives. No expense was spared in the making of this blade!